In a game of few chances, Coningsby and Fishtoft settled for a share of the points following their goal-less draw. The nearest Coningsby came to breaking the deadlock was when Tom Sewell struck the upright in the last 10 minutes. 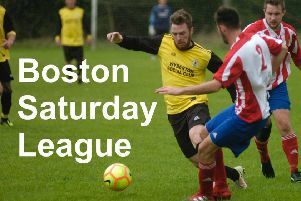 Woodhall Spa United soon found themselves trailing to league leaders Boston College, with a Matthew Sargeant own goal not helping their cause, and it was soon 2-0 before Alex Abraham pulled a goal back. The College scored once more during the first half to lead 3-1 at the break. Woodhall’s Chris Holland scored again after the break but The College remain on course for promotion with two further goals to run out 5-2 winners. Woodhall will be boosted by the return of several key players as they look to move away from the relegation zone. Mareham United conceded two own goals as they fell to a 5-1 defeat at home against AFC Tetford.